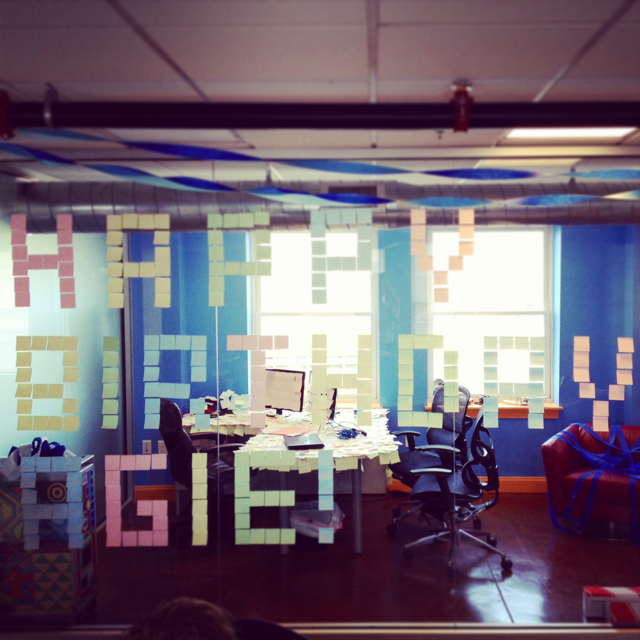 Yesterday was our CEO Agie's birthday. Seeing as we are a laid back company with a family atmosphere, we decided to have a little fun. In our brand new office, Agie's glass walls for his office. Well, this fact was just too tempting for us. 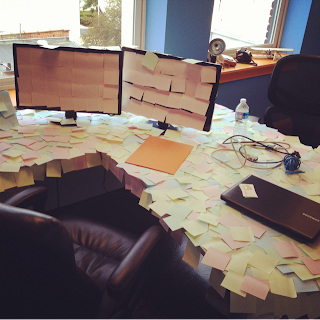 Agie hates sticky notes, so we made sure to rid his desk drawers of these pests. After some lunch and cake, we dispersed for the weekend, leaving Agie to think the prank was done. However, we were simply setting him up to let his guard down; we had other plans. 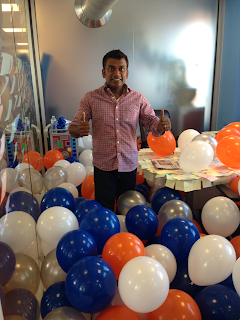 Come this morning, we made sure Agie had enough balloons for his birthday. The fact that the sticky notes never got removed just made it that much better. 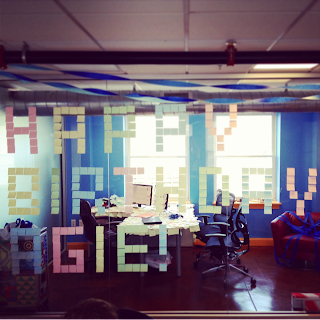 Agie appreciates a good prank (or two) and had a good laugh. Of course, that didn't stop him from making us clean both messes up. What are some fun office/birthday pranks you have pulled before? Taking off with our new office!